To achieve proper running form, the goal is to run as smoothly and efficiently as you can. There are a few things that can be done help achieve that. Run over you center of gravity. Don’t lean too far forward or backward. Try to keep your head up with your eyes on the horizontal. Keep your arms bent at 90 degrees and try not to cross midline when swinging your arms. These considerations will decrease the amount of energy the body has to spend balancing your body. Try to land on your forefoot with a bent knee. Landing on your heel with a straight leg causes more shock to your body.The most efficient running cadence is 180 steps per minute. This will help keep you from over-striding and decrease wasted up and down movement. 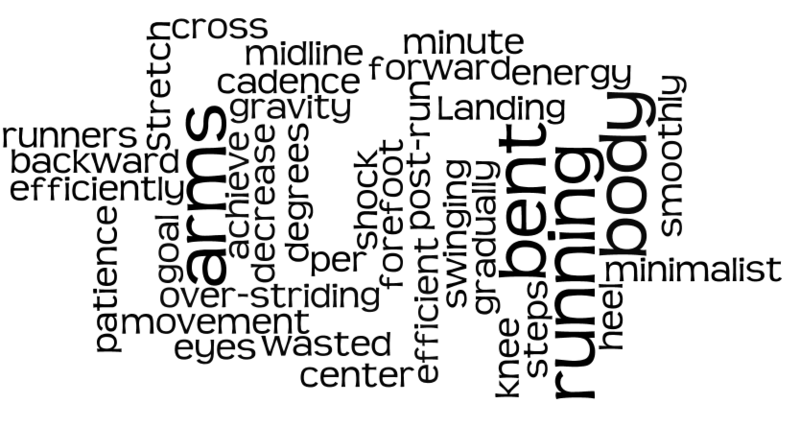 These are all the things that minimalist running is trying to achieve as well. Running more smoothly and efficiently is one of the main goals of minimalist running. Minimalist running can be achieved by most runners. Over course there are always exceptions, but most people if they have the patience to take the time to transition into minimalist running can do so without injury. The key is very gradually breaking into minimalist shoes. Listen to your body. Stretch after runs. Don’t increase your distance if you haven’t been able to be soreness free post-run. This information was presented at our Running On Solid Groud Series by Dr Tom Cotter from Active Health Solutions, Chiropractic and Rehab. Tom is an ambassador for the track club, loves meeting new runners and helping them with any questions they have.